If you’ve never heard of oil pulling, you’re totally missing out! Not only is it an awesome treatment to help you whiten your teeth and detoxify your body, but you’ll find that it can do wonders for your immune system. Below, we’ll teach you about what oil pulling is, what the benefits of oil pulling are, and what oil pulling results you can expect. By the time you finish this article, you’ll be sold on this amazing, natural remedy! 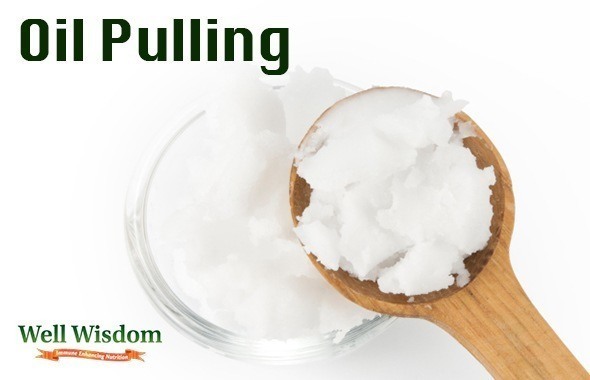 Oil pulling is the practice of swishing or holding oil in your mouth. This may sound absolutely weird and–truth be told–it is a little strange. You’ll find that it’s kind of odd to hold oil in your mouth and swish it around, when your natural instincts are telling you to spit it out. After all, it’s oil right? No one wants a mouth full of oil! But if you can resist your urge and hold the oil in your mouth, you’ll find that swishing it around will offer a lot of benefits (see below). The process of oil pulling can–among other things–remove bacteria and parasites from your mouth, cleanse your lymphatic system, and so much more. Definitely worth giving it a try, no matter how weird it sounds! Oil pulling is a traditional Ayurvedic practice, dating back to the 1990s. It was made popular by Tummala Koteswara Rao, a man from Bangalore. He claimed to have gotten the practice from ancient papers detailing how Siberian shamans used it for over a hundred years. It served as a treatment for all manner of ailments, and thanks to recent celebrity endorsements, it has become even more famous. Step 1: Get your hands on some oil – You’ll find that the traditional oil pulling called for sesame oil, but coconut oil can be a better choice. It has a much milder flavor, and it’s easier on your palate. (see below for choosing your oil…) The more natural and organic, the better! Step 2: Measure it out into a tablespoon – You don’t want much more than a single tablespoon of oil, or it’s going to feel like your mouth is covered in thick slime. You don’t even need to use a full tablespoon, at least not right away. Use 2/3 of a tablespoon on your first try, as that will allow your body to get used to it. Step 3: Put the oil in your mouth – Whatever you do, DON’T spit it out! You’re going to have to fight every instinct that is screaming for you to spit out the oil, and just hold it in your mouth for a few minutes. Just let the oil sit on your tongue, and try not to swallow it. Step 4: Swish it around – If you can, swish the oil around in your mouth, just like you would with mouthwash or water. Your saliva will dilute the oil, making it easier to move around by swishing. You don’t have to swish fast or hard, but just try to spread the oil through your mouth. Step 5: Keep it there — For maximum efficiency, keep the oil in your mouth for at least 10 minutes. If you really want to benefit from the oil pulling, swish it around for up to 20 minutes. The longer the oil is in your mouth, the more time it has to work. Step 6: Spit it out – DO NOT spit the oil into your sink, as the oil could end up clogging the drain (if you do oil pulling every day). Instead, spit the oil into a plastic bag, or just spit it straight into the garbage can. Step 7: Rinse your mouth – Using warm water, give your mouth a good rinse. Swish the warm water around in your mouth for a few minutes, getting rid of the last traces of oil. You can use your finger to massage your teeth and gums, and this will help to eliminate the film of oil around your mouth. Step 8: Drink warm lemon water – This is an optional step, but one that will help to get rid of the taste of oil from your mouth. Squeeze a whole lemon into a glass of warm water, and drink that warm water down. You’ll find that the lemon will help to cut the oil, getting rid of any slimy feeling left over. 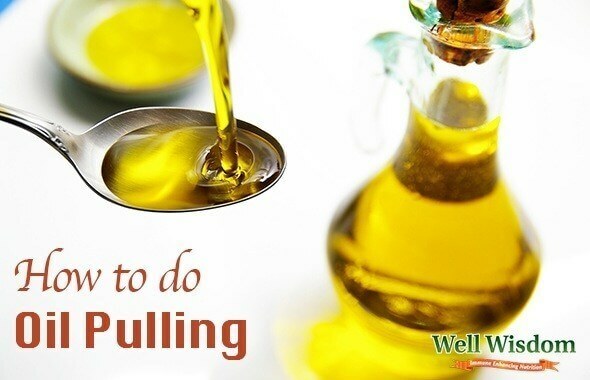 The process of oil pulling is quite easy–as you can see–but it’s going to take a bit of practice to get used to. Trust us, it’s surprisingly difficult to hold that oil in your mouth the first few times! Sesame – This oil has a strong flavor, but it’s loaded with antioxidants that you can find in none of the other oils. It’s particularly effective at getting rid of toxins in your body! Coconut – Coconut oil is the best-tasting of the lot, and you’ll find that it’s rich in healthy fats. Always buy 100% organic! Almond – For a lighter oil that’s easier to swish around, go for almond oil. Nuts offer a lot of monounsaturated fats, making this one of the healthiest oils around. Avocado – Avocado oil is rich in heart-smart fats, but it’s also one of the best oils in terms of flavor. Olive – The flavor of olive oil is strong, but extra virgin olive oil is loaded with antioxidants that will do wonders for getting rid of bacteria and free radicals. DO NOT buy cheap vegetable oil, canola oil, or commercial peanut oil. 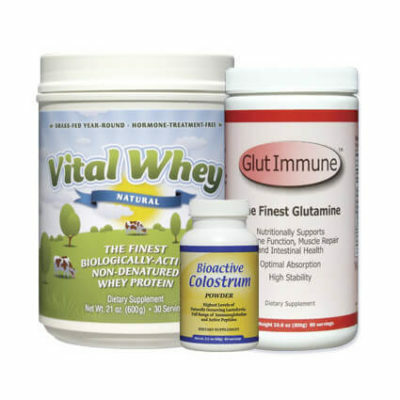 They may not cost as much, but they’ll be far less beneficial in the long run than the nutrient-rich oils listed above. The primary benefits of oil pulling lie in its ability to improve oral health. Of course, none of these have yet been conclusively proven by science, but they are only POTENTIAL benefits of oil pulling. But the truth is that it’s worth a try if it will provide even one or two of these benefits! Your immune system is constantly under attack from germs and bacteria, but how do these pathogens get into your body? You won’t be surprised to discover that most of them enter through your mouth, via the air you breathe, the liquid you drink, and the food you eat. A lot of the bacteria are destroyed by your stomach acid, but many of them cling to your teeth and gums. There they can cause all kinds of problems, such as gum infection, tooth decay, and bad breath. Your immune system is forced to respond to the presence of bacteria, distracting it from fighting other more serious threats in your body. But oil pulling can help to deal with that problem. As you read above, oil pulling is a viable method of cleansing your mouth and killing off the bacteria that live there. When there are no bacteria living in your mouth, your immune system is freed up to focus on the problems in other parts of your body. 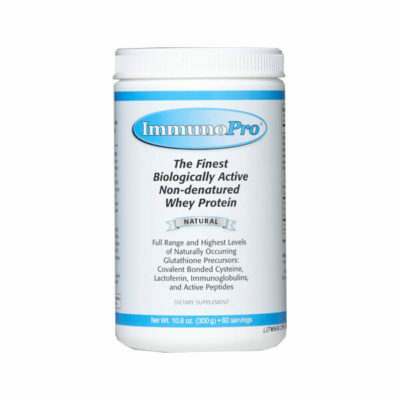 This ensures that your immunity is dealing all of the major threats, rather than expending its energy on just your oral health. The edible oils (as we’ve seen above) can help to deal with the bacteria that cause oral and throat infections, so it will reduce your risk of sore throats, gingivitis, periodontitis, and many other problems. It can also help to clear out excess mucus from the body, and it may even be effective at treating colds! A 2012 Irish study discovered that partially digested olive oil (broken down by saliva) is more effective–meaning the longer it’s in your mouth, the more effective it is. An as-of-yet unpublished 2014 study conducted in Toronto provided promising evidence for dealing with dry mouth caused by Sjogren’s syndrome. Multiple studies have proven that essential oils can help to combat oral bacteria and reduce the risk of both oral infections and the formation of plaque. However, dentists will say that oil pulling DOES NOT replace regular dental check-ups, and it cannot be substituted in place of regular brushing and proper oral hygiene. Also, if improperly used, oil pulling can cause thirst, dry mouth, exhaustion, loss of feeling, and even muscle exhaustion. 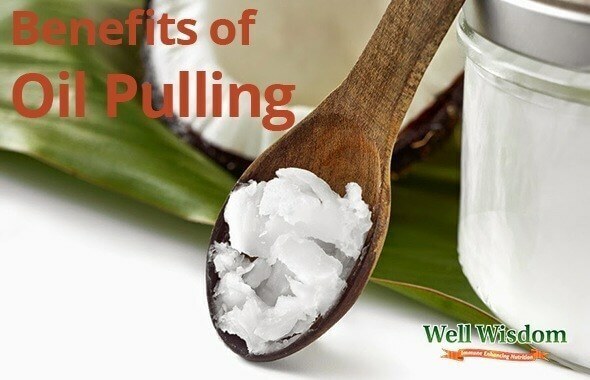 Now we’ve answered the questions “what is oil pulling and why should I try it?” and you can see that it’s a highly effective method of boosting your health in many ways. 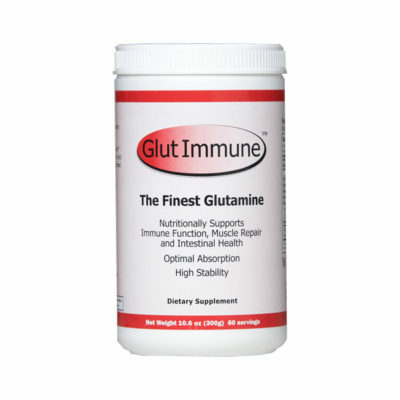 While there may not be a whole lot of science to back up this remedy, the truth is that many people have used it and obtained excellent results–both in terms of oral health and overall immune boosting. It’s definitely worth a try, at least a few times, to see if it will work for you as well!